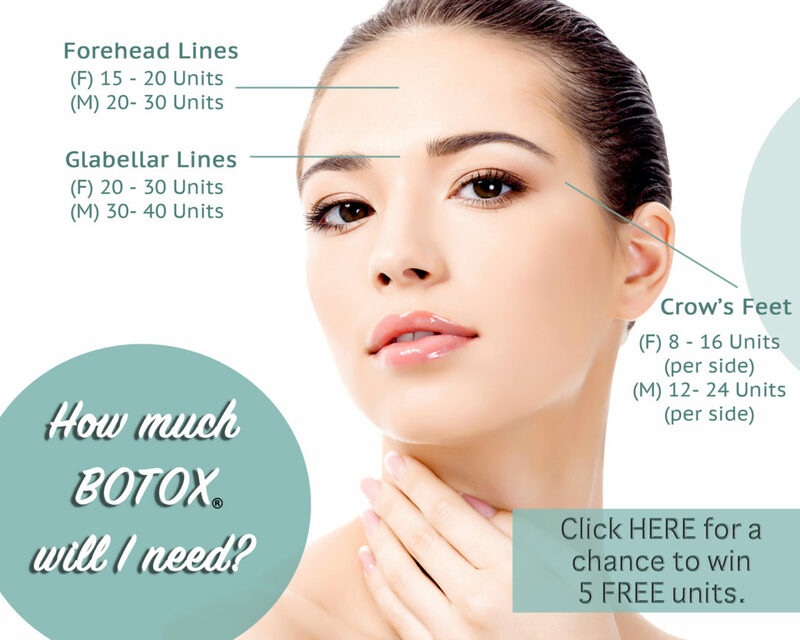 Determining how much BOTOX® a person needs is simple. Follow this image chart below to assess what you’ll need for a successful BOTOX® treatment. If you have questions, that’s great! We’re here to help. Our trained staff is eager to assist you find the answers you desire. Remember, BOTOX® is a prescription medicine that should only be administered by a licensed practitioner. We look forward to helping with your cosmetic needs.